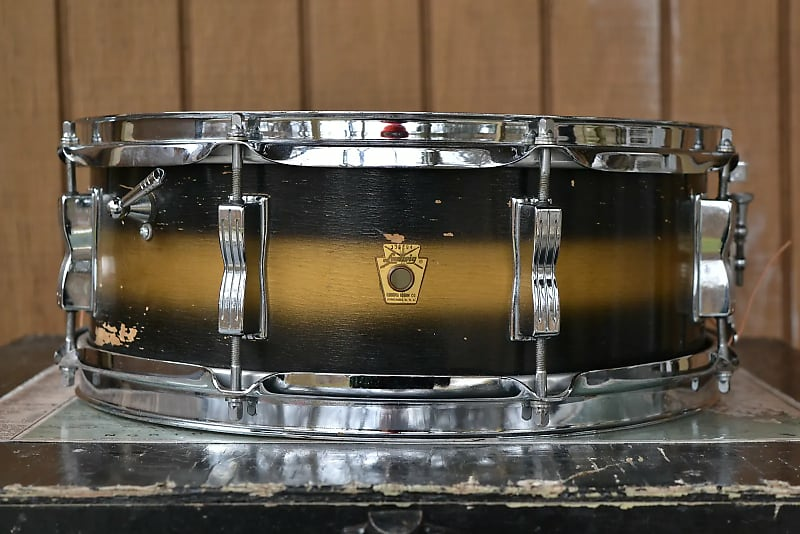 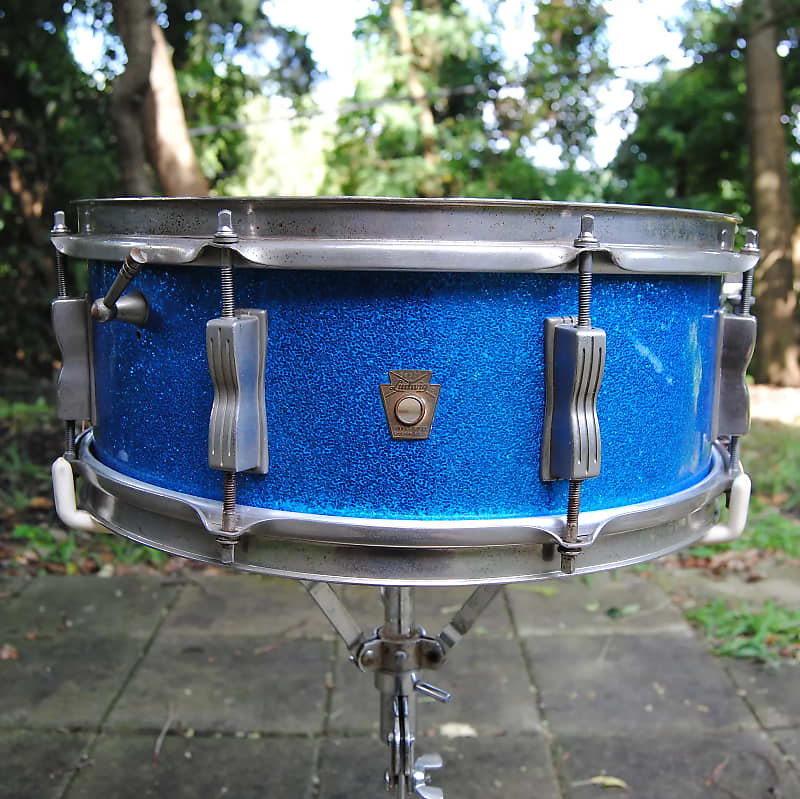 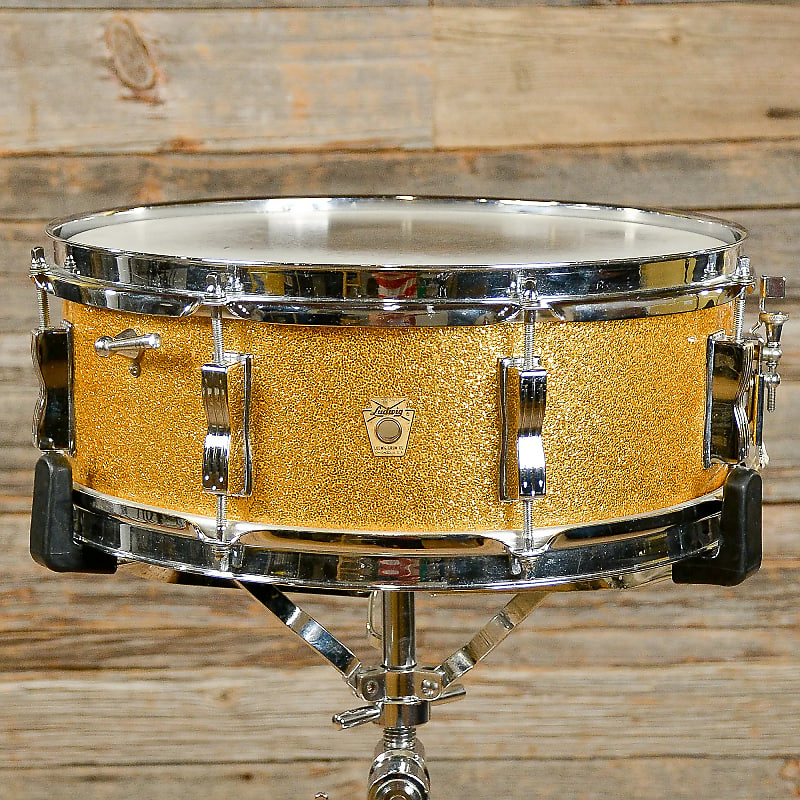 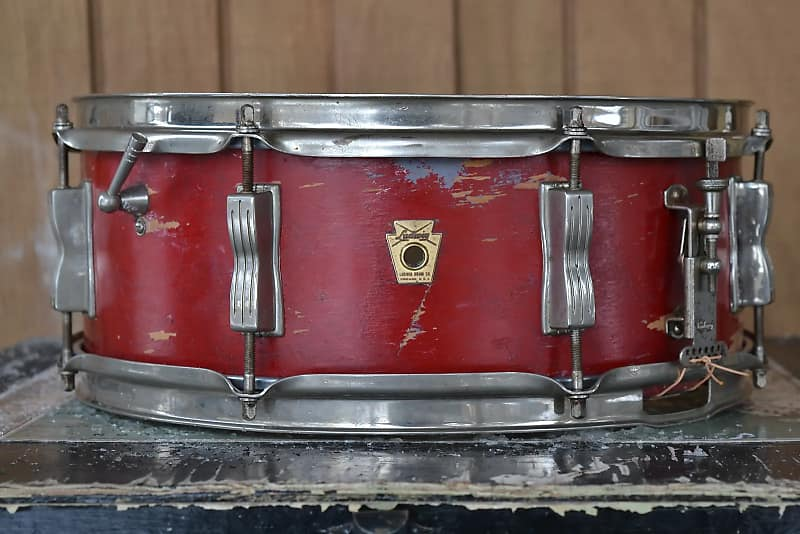 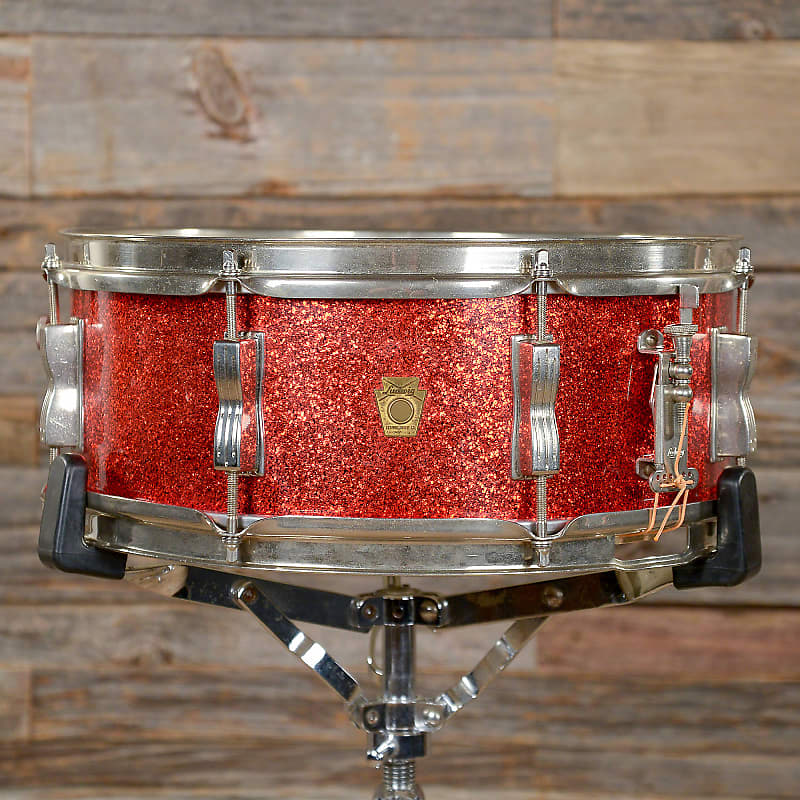 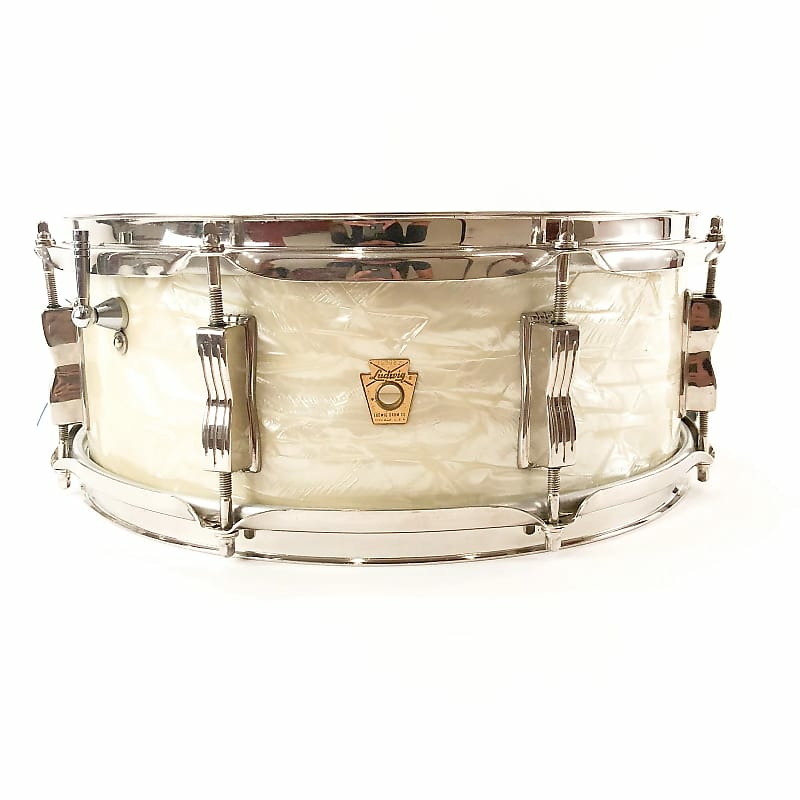 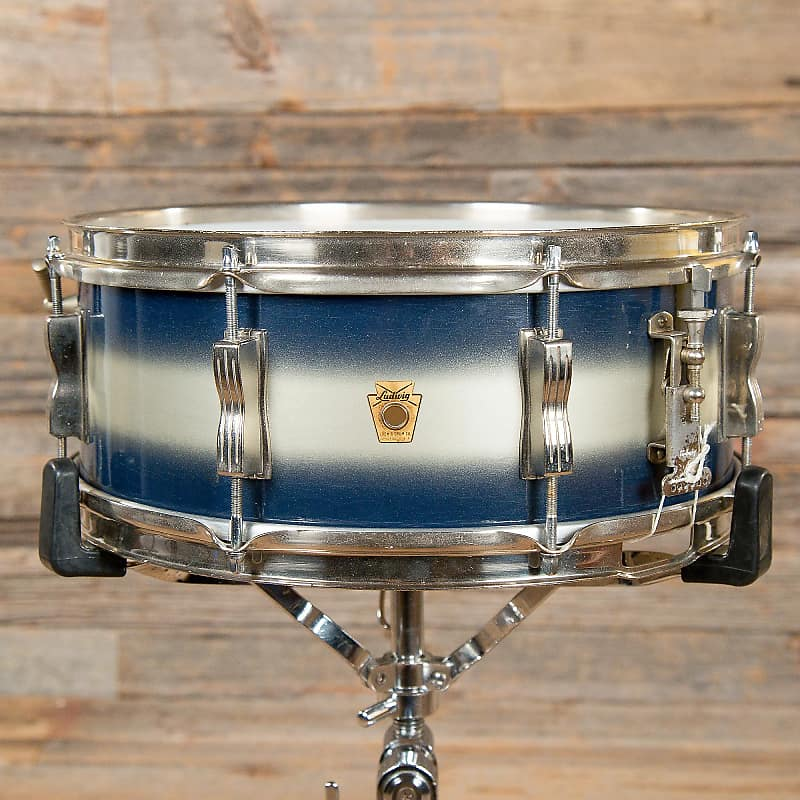 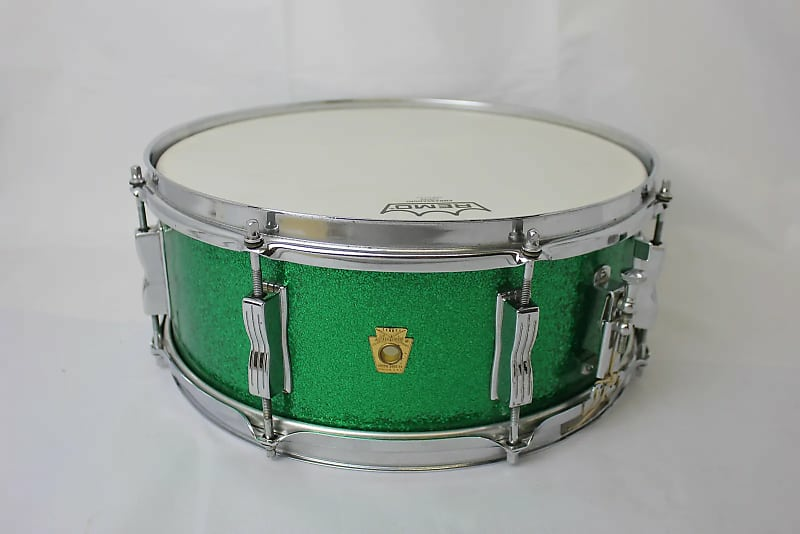 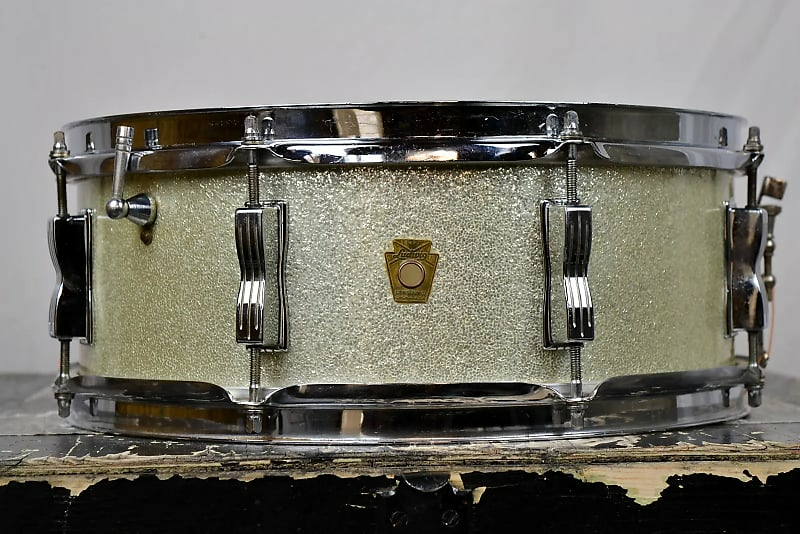 First introduced with a 5.5x14" size as the WFL "Swingster Dance" or "Barrett Deems Model", the Jazz Festival was popularized by Ringo Starr in the 1960s. 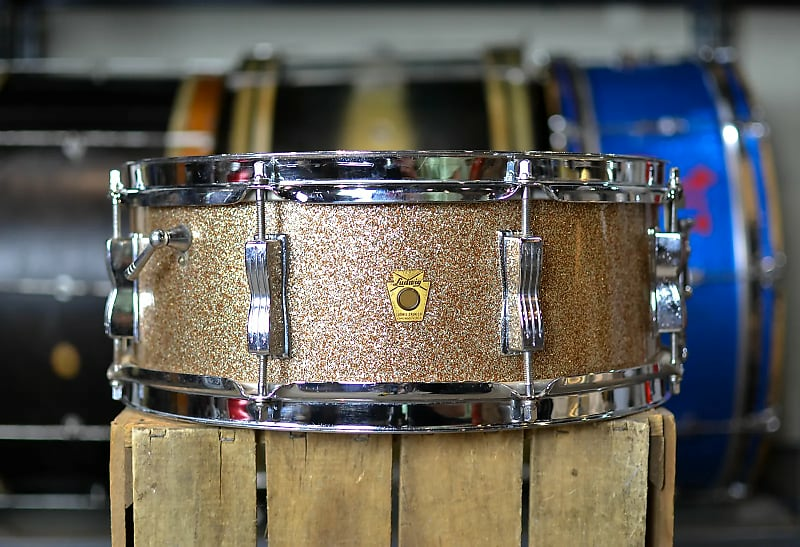 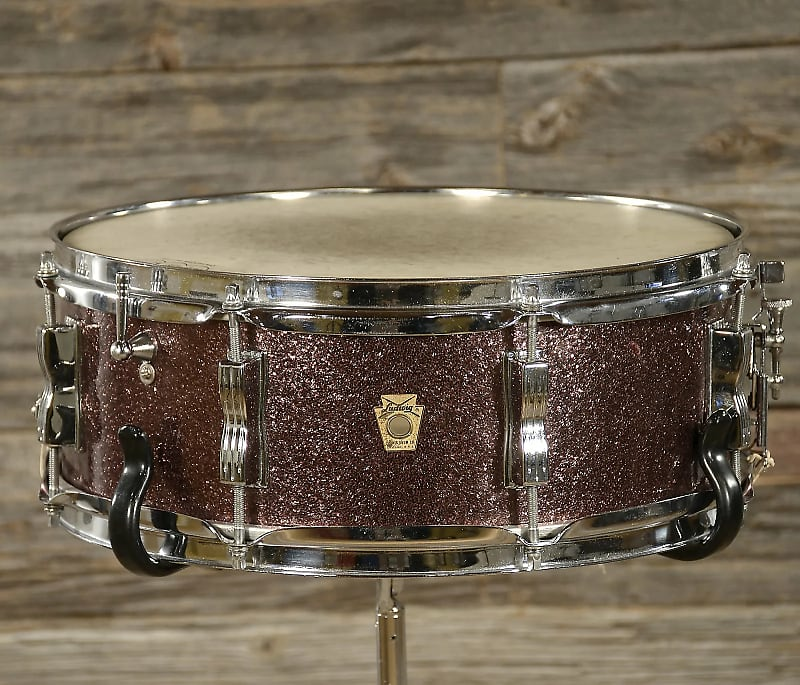 It features a 3-ply Mahogany/Poplar shell with solid Maple re-rings and 8 classic "bowtie" lugs. 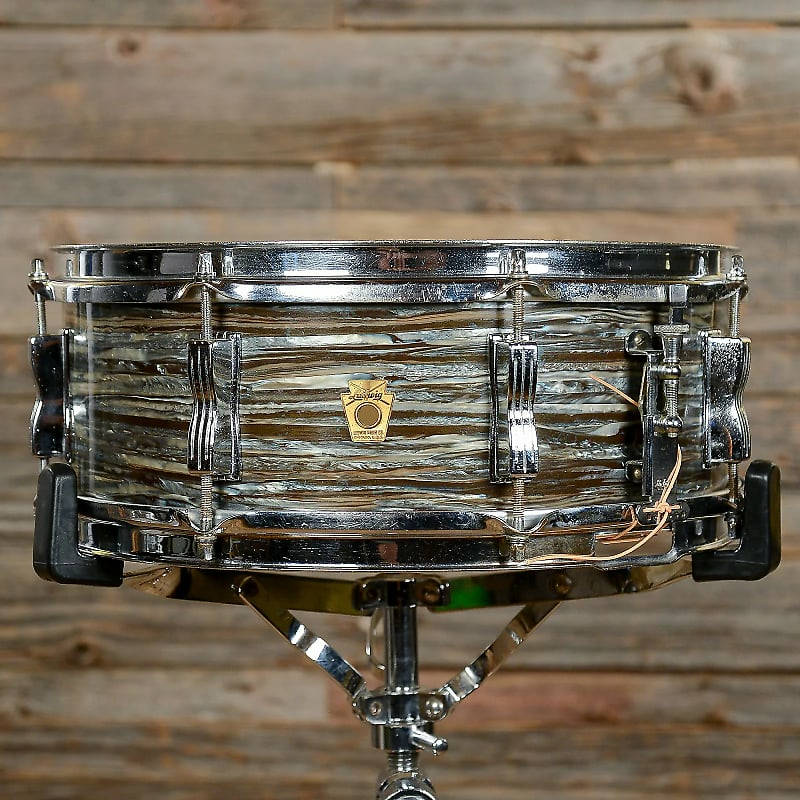 Oyster Black Pearl and Oyster Blue Pearl usually command higher prices, as do rarer finishes like Black Galaxy, Burgundy Sparkle, "Psychedelic" finishes, and certain Duco Lacquer combinations.